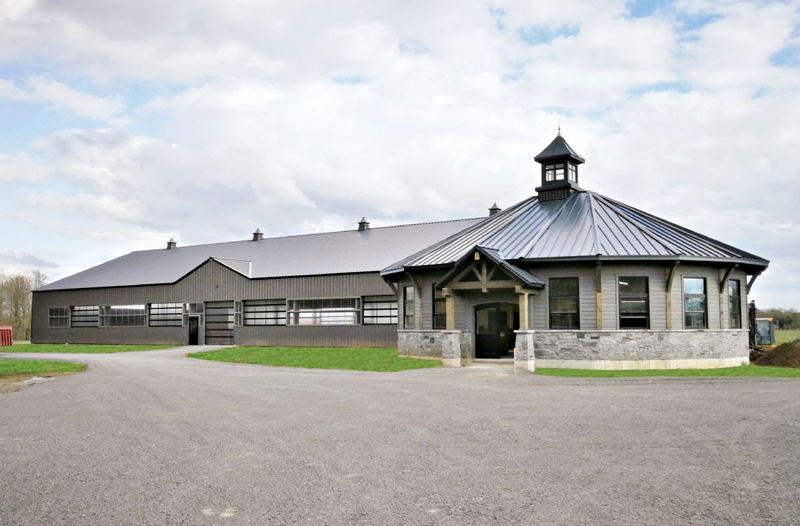 This gorgeous stable, built by Dutch Masters Design & Construction, won the Horse II award at the 2018 Canadian Farm Builder Association’s Builder Awards. Two incredible equestrian facilities received top praise at the 2018 Canadian Farm Builder Association’s Builder Awards in Stratford, Ontario, on February 28, 2019. Every year, members of the Canadian Farm Builder Association (CFBA) gather for their annual conference and browse and vote on a selection of entrants in various categories. Of the nine categories, two are for horse-related projects. Horse I projects are those which cost up to $750,000 to build, while Horse II projects cost more than $750,000 to complete. 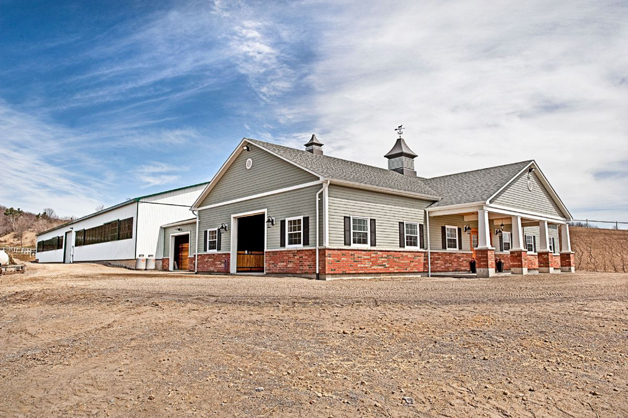 Each include on-farm facilities for the accommodation of horses featuring stables, training arenas and tack rooms, etc. To learn more about the CFBA and their awards and to see projects in other categories, go to cfba.ca. Tags: Canadian Farm Builder Association, Dutch Masters Design & Construction, HFH Inc.